Erika graduated from the National Veterinary School of Lyon (France) in 2003 and continued her clinical training with a rotating internship at the University of Montreal in small animal medicine and surgery (Canada) and then a Certificate in advanced studies in internal medicine at the National Veterinary School of Nantes (France). Interested in laboratory research work, she pursued with a Master in Oncogenetics at the Medical School of Marseille (France) and worked on the side as general practitioner. Erika who enjoys both clinical research and internal medicine practice, decided to take the experience to the next step further. In order to broaden her knowledge and competences in both fields she entered a combined Master in Veterinary Sciences and residency program in small animal internal medicine at the Purdue University Veterinary Teaching Hospital (United States). She was awarded both her Master by the University of Purdue and her Certification in Small Animal Internal Medicine by the American College of Veterinary Medicine in 2010. During her Residency, Erika won the Osborne case report competition organized by the Phi Zeta Society which rewards the best case presentation of the year. After her residency, Erika worked for about 3 years in one of the biggest emergency and referral private practices in Canada where she founded the internal medicine service. Erika has trained in her career many students, interns, veterinary nurses and mentored younger colleagues. She has given continuing education conferences and written numerous articles summaries for general practitioners. Having worked in both private and academic environments, she can prepare her students for both careers and understands the challenges of both types of practice. Erika's academic activities encompass clinical teaching and management of referral cases in the department of small animal internal medicine at the University of Queensland Veterinary Medical Centre, classroom teaching for veterinary students in their 3d, 4th and 5th years and veterinary technology students in their 3d year of training, as well as research work bridging human as well as laboratory science and IT technology to clinical practice (so called collaborative and translational medicine). She has also an interest in developing business management field in veterinary medicine as well as innovative teaching methods for veterinary students and professionals. 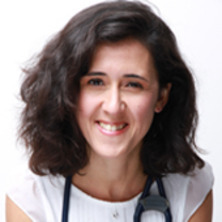 Erika’s clinical areas of interest are minimally-invasive techniques, renal medicine and haemodialysis, as well as liver and respiratory diseases and the development of new teaching methods in the clinical setting. Erika's research areas of interest are infectious diseases such as MRSA, fungal diseases, genetic predisposition as well as the use of new technologies in veterinary medicine and the development of research in veterinary business. Erika is definitively a team player and look forward to collaborate with colleagues and students interested any of the themes listed above. Conference Publication: Can veterinary teaching hospitals be profitable? Rynhoud, H., Meler, E., Gibson, J. and Soares Magalhaes, R. (2018). The epidemiology of Staphylococcus spp. carriage in dogs, cats and horses in the greater Brisbane area. In: 19th Annual Scientific meeting of the Australian Society for Antimicrobials, Brisbane QLD Australia, (). 22-24 February 2018. Nasal microbiota in shelter dogs and carriage of Staphylococcus spp. Antimicrobial resistance patterns in lower urinary tract pathogens in dogs in South East Queensland. Meler, Erika, Pressler, Barrak M., Heng, Hock Gan and Baird, Debra K. (2010) Diffuse cylindrical bronchiectasis due to eosinophilic bronchopneumopathy in a dog. Canadian Veterinary Journal, 51 7: 753-756. Meler, Erika, Dunn, Marilyn and Lécuyer, Manon (2008) A retrospective study of canine persistent nasal disease: 80 cases (1998–2003). Canadian Veterinary Journal, 49 1: 71-76. Can veterinary teaching hospitals be profitable? Anastassiadis, Z., Cook, E., Thompson, A., Herndon, A., McGhie, J. and Meler, E. (2017). Canine systemic toxoplasmosis in south east Queensland: a retrospective case series. In: Science week of the Australian and New Zealand College of Veterinary Scientist., Gold Coast, QLD, (). 6-8 July 2017. Meler, E., Berent, A. C., Weisse, C. and Dunn, M. (2014). Treatment of congenital ureterovesicular junction stenosis by endoscopic laser-ablation in dogs: 10 cases (2010-2013). In: The American College of Veterinary Internal Medicine Forum, Nashville, Tennessee, (). 4-7 June 2014. Guptill, L., Meler, E., Dunham, A., Li, Y. and Weese, J. S. (2011). Prevalence of methicillin-resistant coagulase positive Staphylococcus species colonization of pet dogs and cats. In: 2nd ASM-ESCMID Conference on Methicillin-resistant Staphylococci in Animals: Veterinary and Public Health Implications., Washington DC United States, (). 8-11 September 2011.